and her aroma is unchanged." Jeremiah was called by the Lord to be a prophet to the nations, not only a prophet to Israel. Jeremiah gave prophecies to the following nations, and Baruch wrote many of them down on scrolls to be given their ambassadors when they visited Jerusalem (Jeremiah 27:3-15). Baruch’s brother, Seraiah, read Babylon’s prophecy (Jeremiah 50-51) to Babylon while Seraiah was in Babylon in 594 BC (Jeremiah 51:59-64). The words in the prophecy against Moab in Jeremiah 48:9-11 call for salt to be covered on the land to make it worthless and unproductive (see example in Judges 9:45). The Assyrian king, Tiglath-pileser, scattered salt over the ruins of conquered cities during his reign during the days of the Judges (1100 BC). The prophecy comes with a curse on the man or the nation who does not follow through with covering the land with salt and who does not use their sword to slaughter Moab. In this prophecy the Lord’s work is the destruction of Moab with salt and sword. The man who is lax, sloppy, negligent in this work of the Lord is cursed! Wine in the ancient world came from the juice of crushed grapes that was poured into large clay jars that were sealed. A small vent hole allowed the fermentation gases to escape to prevent the clay jars from exploding. The wine would rise to the top and the dregs would settle to the bottom. For the fermentation process to be completed the wine would be poured from the original clay jars into new jars and the dregs would be strained out. Then the strained wine would be left in the new jars (without the dregs) to finish fermenting. The problem with Moab Jeremiah says is they are like wine that is still in setting in the same jar as the dregs. They have not progressed, but are going to be ruined because of their lack of progress or movement. Jeremiah indicates that an exile into a foreign country will be what the Moabites need. The Moabites need to be separated from their past, placed in a new culture and continue to ferment, or develop, there in a foreign land. The Lord says that the best thing for Moab is to spend some time with Nebuchadnezzar in Babylonian exile. Dietia (Gr) – two years (Eng) – the Greek word dietia is a compound word made up of dis meaning “twice” and etos meaning “year.” Dietia refers to the space of two years as in Acts 24:27. The adjective form dietes means “lasting two years” and refers to being two years old in Matthew 2:16. I will not be complacent, but will seek to improve, change and develop. I will become more useful and productive for the Lord. 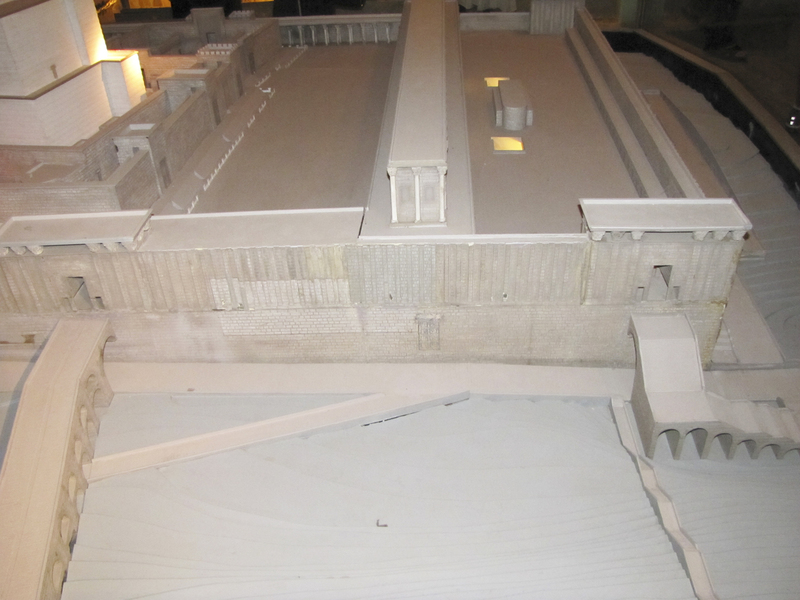 A model of the southwest end of the Western Wall of the Herodian Temple Mount. Robinson's Arch is the stairway entrance/exit on the SW corner on the right side of the photo. "Better a little with the fear of the Lord than great wealth with turmoil." “Restrain your voice from weeping and your eyes from tears, for your work will be rewarded,” declares the Lord. “They will return from the land of the enemy. “I have surely heard Ephraim’s moaning: ‘You disciplined me like an unruly calf, and I have been disciplined. Restore me, and I will return, because you are the Lord my God. “Set up road signs; put up guideposts. Take note of the highway, the road that you take. Return, Virgin Israel, return to your towns. 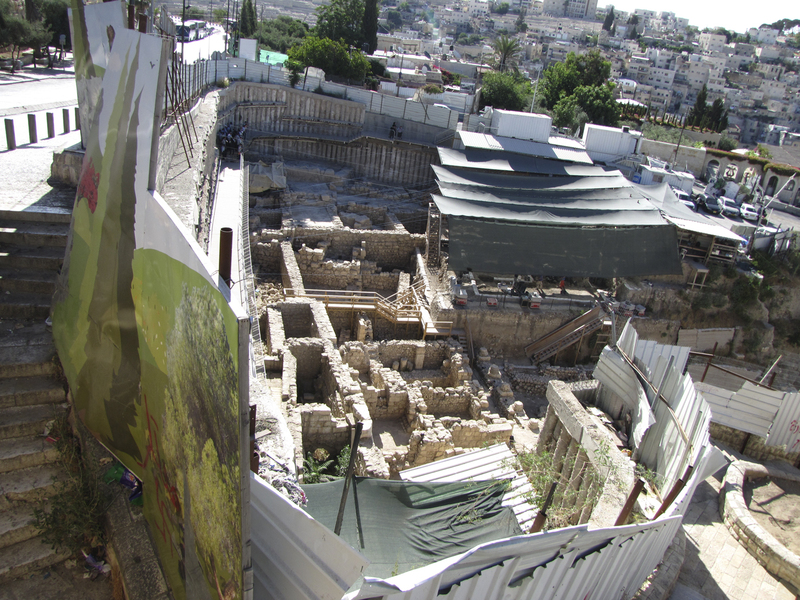 “Only if the heavens above can be measured and the foundations of the earth below be searched out will I reject all the descendants of Israel because of all they have done,” declares the Lord.